Have you ever found a feather on the ground, and picked it up? I collected stray feathers all the time as a child. But, I know today we're not supposed to touch such things for fear of germs, or lice, or mites, or something even worse. Even so, as a homeschool mother, when the children found a few feathers, while out looking for pine cones, I immediately saw a science lesson, or potential craft. What I did not see, was an illegal act. However, that is just what we were dangerously approaching. The Migratory Bird Treaty Act of 1918 prohibits, among other things, the collecting of bird feathers from over 800 species of birds, even if those feathers are found lying, unwanted, on the ground. I wasn't too worried, that we had crossed the line. Montana authorities generally take a common sense approach to the enforcement of environmental laws. Even so, I did check with our local game warden, just to be sure we were safe. A child picking up a feather is one thing, but he did warn us to steer clear of eagle, owl, and other raptor feathers. ...and then check with the Department of Fish and Wildlife, for guidelines, before you take that next walk in the woods, or stroll through town. I assume we will see the craft featuring those feathers soon. How did you get to know such an obscure law? We mostly find seagull feathers and I believe that our game warden would love it if we could get rid of some of them...they are such nasty birds. Raising a Happy Child - One of the craft books I looked at suggested sterilizing feathers in the microwave. I was looking up whether that was really necessary, or possible, when I came across information for teachers in various states, warning them about the law. We cover this law often in our nature classes.... Most people do not even know about this law. Oh good to know! Now, I have another excuse not to have our daughter go feather collecting. The only birds I knew while growing up in NY were pigeons and they are dirty birds. I still have in my head that bird feathers carry diseases. I give her craft feathers if she wants to play with them. For some reason my kids are extremely afraid of getting in trouble with the police - no one in our house (not even anyone we know) has ever done anything to warrant getting in trouble, so I have no idea why they have this fear. Anyway, we have a police officer living right across the street and recently R asked me if he would arrest her if she drew money bags with chalk in the driveway. I explained that there was nothing wrong with drawing chalk money bags, but she still insisted on drawing them in the garage instead of the driveway where they might be seen. The point of this rambling is that my kids would be scared to death of feathers if I told them about this law! 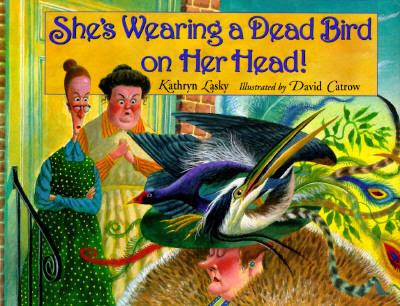 I'm not a fan of dirty birds and their feathers, but I also hate to see my kids have irrational fears! Thanks you for putting that historic law into perspective- that it was made during a time when feathers were being collected in great numbers to be worn. I have always wondered at the harshnes of that law. I believe the law also extends to abandoned nests found on the ground. We've been told not to take those, either. Kristy - Yes, it does include nests, eggs, and any part of the birds in question. bugsboysandbooboos - That's sooo funny. It's probably worth looking into, before you let the boys loose again! Good thing we left our recent blue jay feather find where we found it in our front yard! I generally do not let the kids bring nature items indoors anyway. Interesting post...Thanks! Since nobody ever hears of this law, I don't follow it. I have hawk and eagles feathers. None were hurt in the process and I believe the birds give gifts to those who respect nature. The law can not tell me what I can and can't collect and I will stick up for my right to keep my none cruelty collected feathers.